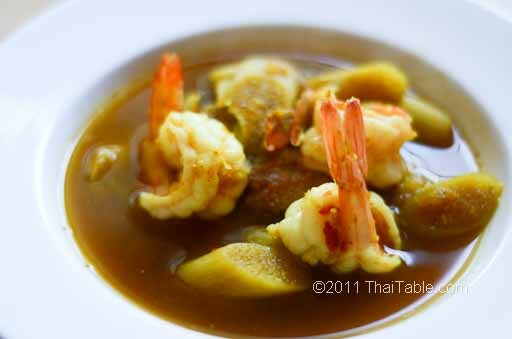 Southern sour curry is known outside of the south as ‘yellow curry’. It actually is sour curry with fresh turmeric, extra peppers and a sharp sour taste. The turmeric turns vegetables and meats in the curry bright yellow, hence the name ‘yellow curry’. 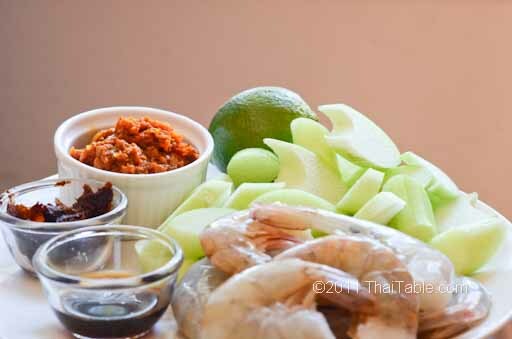 Southerners add lime juice to get the extra sharp sour where the central sour curry relies on tamarind which give a more complex sour with a hint of sweetness. 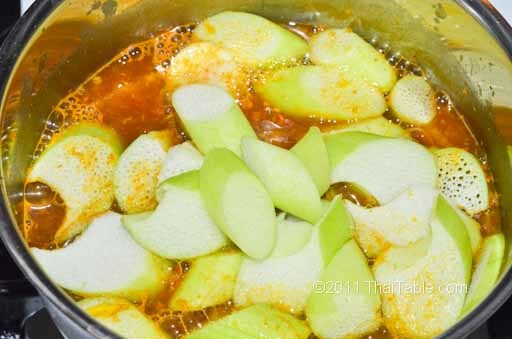 I love this hot curry, but when it is made for southerners, it is often too hot for me. 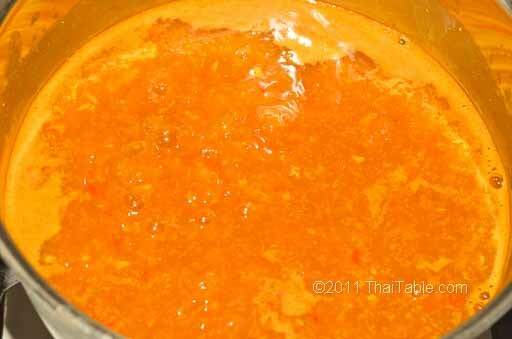 The ingredients required to make the paste is relative easy to find, so I make my own curry paste. In a pinch, I can pour southern sour curry on top of rice and happily eat it any time. Say "roy jung hoo" when you're done! That's southern way of saying "delicious". If you are using store bought curry paste, add one teaspoon and taste. The heat can vary from brand to brand. This curry is known to be fiery hot! The amount of fish sauce depends on how much salt is already in your curry paste. Start with one tablespoon and keep adding until you find the right balance for you. Asam gelugo or som kak can be used in place of tamarind. 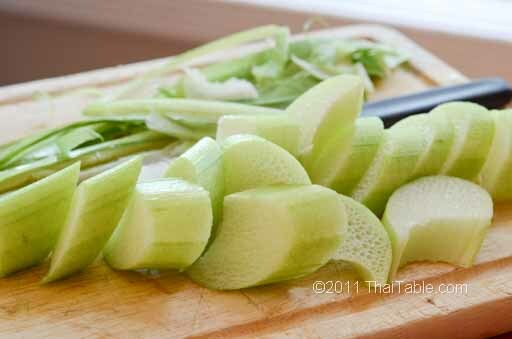 Peel the koon's green skin away. You will see the spongy white flesh inside. Slice koon about 1 inch thick. Peel and devein shrimp. In a medium pot, add southern curry paste to 3 cups of water. Let it boil, then lower the heat to simmer. Add tamarind and fish sauce. If you use tamarind sauce, start with 3 tablespoons. Adjust the flavors now. It should taste sour, then salty. You will be adding more sour agent, lime juice, in the serving bowl later. Add koon now and let it boil for a minute. Prepare the serving bowl. Squeeze 1/3 of lime into the serving bowl. Add shrimp into the pot. Close the lid and turn off the heat. Let it sit for a minute. That should be enough heat to cook the shrimp without being overcooked. Ladle into the serving bowl. Serve with rice.